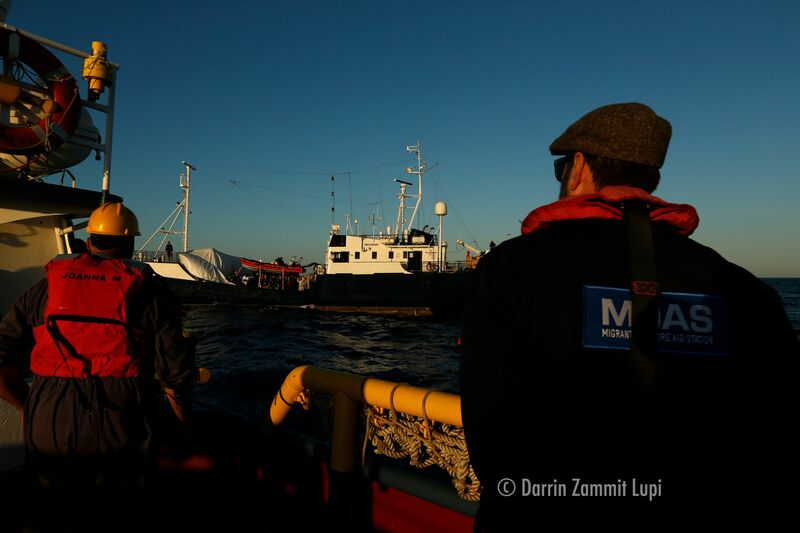 On Tuesday 9th April, MOAS launched a relief mission, delivering supplies to the Alan Kurdi rescue vessel, belonging to the German NGO Sea Eye. The ship has been stranded for over a week in international waters after it was refused safe harbour and was in need of food, water, medicine and other supplies. The Alan Kurdi rescued 64 migrants, including women and children, off the coast of Libya last week, after being unable to contact the Libyan authorities and on Tuesday morning a 24-year-old woman on board had to be evacuated to Malta for medical attention following loss of consciousness. Following this a pregnant woman was also evacuated on Wednesday evening following a seizure. MOAS believes in the right to safe harbour for vulnerable migrants fleeing from poverty, persecution and conflict. Therefore, on hearing the statement from Sea-Eye, which announced the shortage of supplies onboard, and in accordance with MOAS’ guiding principles, we felt compelled to act. On Tuesday evening we delivered emergency food, water, medicines and dry clothing and blankets to the remaining 63 migrants onboard the Alan Kurdi, which we hope will be of some support until a more long-term solution is found. 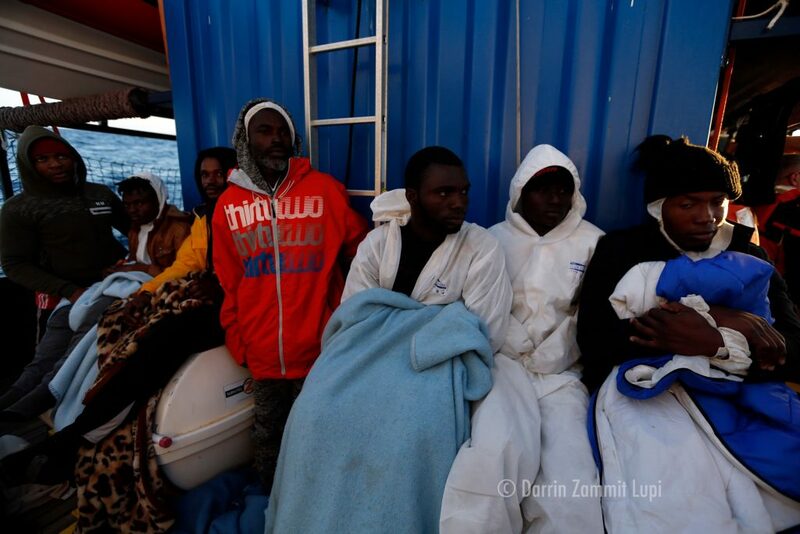 Most of those onboard have already experienced unimaginable atrocities in Libya and we are therefore deeply saddened that the ship has been stranded for so long, especially when those onboard include an infant and a young child who have facing adverse weather conditions. When MOAS crew handed over the delivery our Director and medical volunteer entered the clinic to deliver the medical supplies. 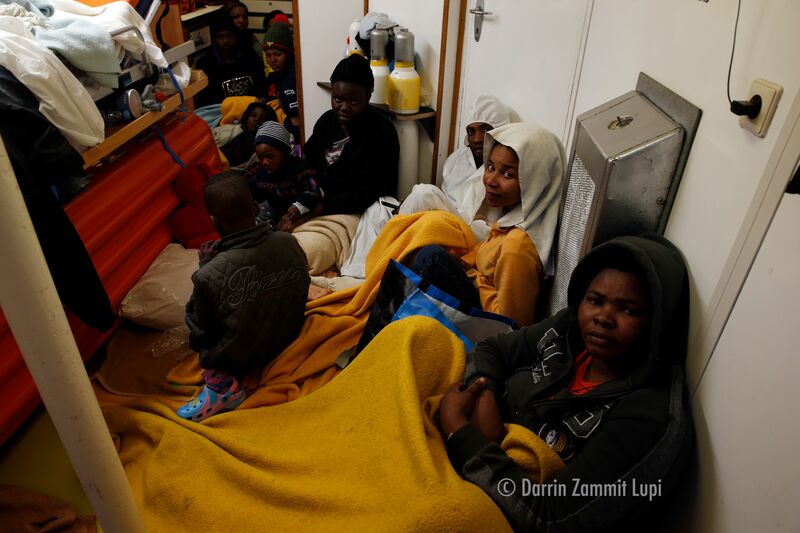 There, all the women and children were taking shelter from the rough seas in a small treatment room with limited space, in which the single doctor and nurse were also having to examine and treat the sick. Each extra day out at sea puts increased pressure on the team and on those they have rescued. MOAS refuses to ignore the plight and suffering of those on Europe’s doorstep and it seems the escalating violence in Libya only enhances the need for the creation of safe and legal routes for vulnerable people in desperate need of protection. MOAS are actively fundraising for reserve funds to facilitate these kind of emergency interventions in the Mediterranean. To contribute to our programming please donate now.